I recently bought a few things at the dollar store to spruce things up at home a bit. I haven’t done everything but I wanted to provide my millions few followers with a post today. 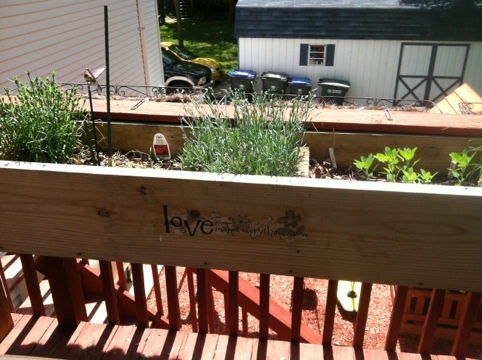 I have a really nice planter box that my husband built on my deck. 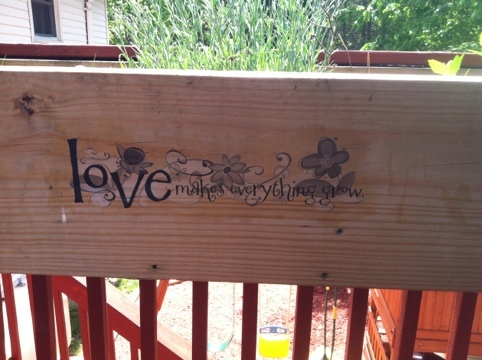 I have to start getting my things planted but in the mean time I put a little something on the front of the box. I put modge lodge over the front and waited until it dried before I added three more coats. 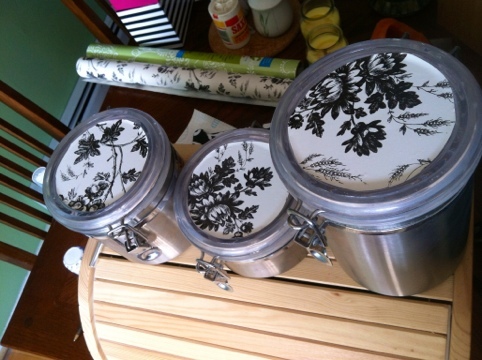 I then took my canisters and put some contact paper on the top. And it all just cost $2.00 :). I have a few more things to do over the next few days but I just got my new iPad delivered and can’t stop playing with it. 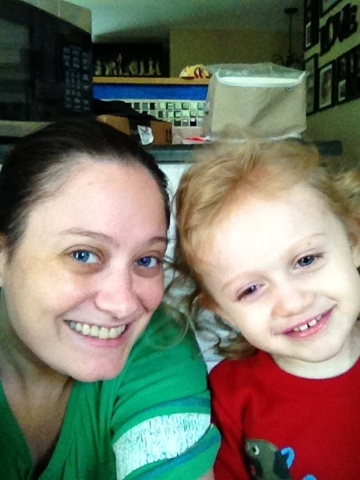 Here is the first pic I took with the iPad. I will have a post on homemade apple puffs shortly. Stay tuned! !